Maersk Oil has agreed to buy half of Africa Oil Corporation’s shares in three onshore exploration licenses in Kenya and a further two in Ethiopia for a fee that could rise to $845 million, it said Monday. The oil arm of Danish conglomerate A.P. Moeller-Maersk A/S (MAERSK-A.KO) has been cutting exploration activities in light of the depressed oil price and disappointing exploration results over the past couple of years. But it said last week it would direct its short-term focus on identifying inorganic growth opportunities and investing in exploration acreage to rebuild its portfolio and grow reserves. The acquired licenses cover exploration areas in northern Kenya and southern Ethiopia and include eight recent oil discoveries. Four of the blocks are operated by Tullow Oil and the remaining by Africa Oil. 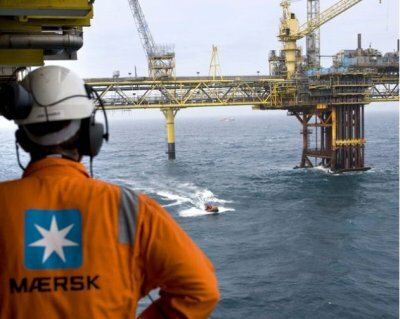 The deal sees Maersk Oil make an upfront payment of $365 million with future contingent payments of up to $480 million, dependent on the size of the resource and the timetable for first oil. Following the deal, Maersk Oil will hold a 25% interest in exploration licenses 10BB, 10BA and 13T in Kenya, 25% in Rift Basin in Ethiopia and 15% in South Omo in Ethiopia.